For Choose 2 Give’s (C2G) “Selfies on the SWKT” there were a lot of silly selfies with props. There were romantic picnic lunches. There were even students who chose to do homework overlooking the best view at BYU from atop the Spencer W. Kimball Tower. Choose 2 Give grants dreams in more ways than one. The campaign will continue to March 19-30, 2018. Go to studentalumni.byu.edu to donate. Selfies on the SWKT for Choose 2 Give! Hiking the Y? Selfie time! At a BYU game? Selfie! At a concert? Selfie! Those are all great places to take selfies, but wouldn’t you rather take a selfie somewhere unique while also giving back? Well, here’s your chance! 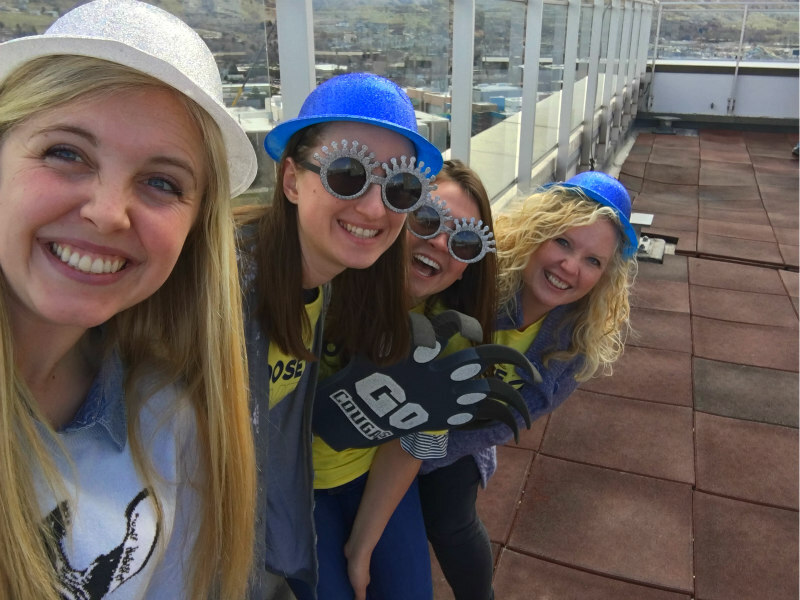 In conjunction with the upcoming Choose 2 Give student giving campaign, you can take selfies on the SWKT roof! On Wednesday, March 21st from 10 a.m.-1 p.m., students will have rare access to take pictures from atop the highest building on campus. Those who donate will also receive cookies and swag. Remember to use the hashtag #SWKTSelfies. 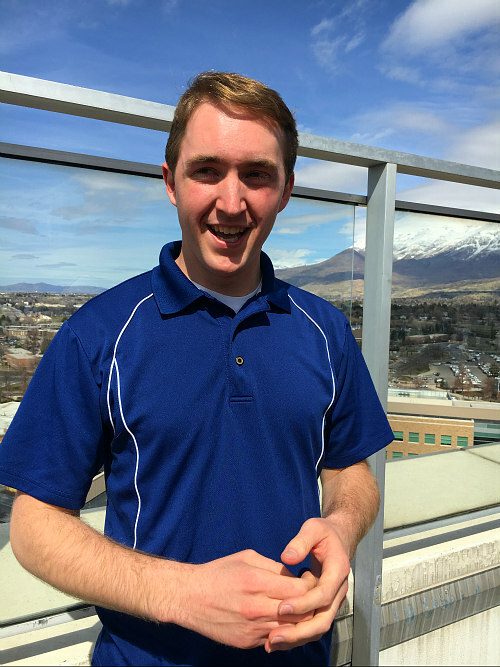 Choose 2 Give (C2G) is a student-run and -funded scholarship campaign which helps students in need receive a BYU education. One hundred percent of the money raised is used to benefit BYU students. The campaign will run March 19-30, 2018.